This post was inspired by a “winter essentials” tag I saw on one of my lovely, most supportive follower’s blogs, The World of COS. If you want to see her original post, click here. Anyway, because I enjoyed reading The World of Cos’s version so much, I decided to create one of my own … and here it is! At the end I have tagged several bloggers I know, so hopefully they’ll join in the fun! 1) What is your ultimate summer party season lip product? 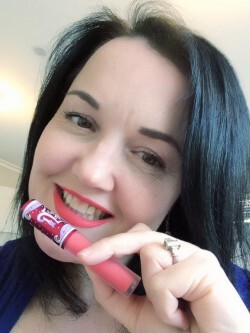 Lime Crime’s Velvetine in Suedeberry – it’s clear, bright and summery – and here’s a slightly dodgy pic of me wearing it! 2) What is your essential product for summer? 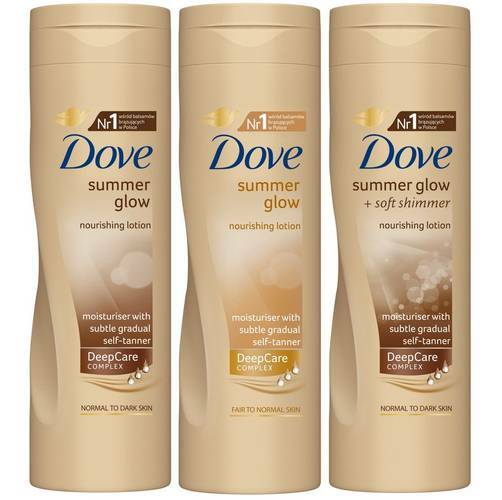 It would have to be Dove Summer Glow … I really couldn’t bare my legs to the world without it! I use the normal to dark ‘cos ya’ know, I am soooo olive! Actually though, the darker version is fine for me. As with any fake tan, you need to make sure your skin is moisturised first and that you are careful with your application around the old ankles, knees and elbows. 3) What’s next on your wish list? The Hourglass Ambient Lighting palette – gives you all the flawless, glowy skin and who doesn’t want that in summer right? 4) Name one beauty essential that is never missing from your handbag during the warmer months. 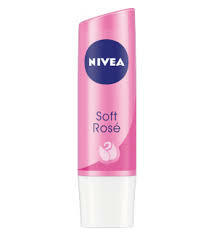 Nivea Soft Rose lip butter – I HATE having dry lips, so I always keep this around – and the good thing is you can put it over the top of your Velvetines and it stops them being so dry. 5) What are your summer weather skincare saviours? 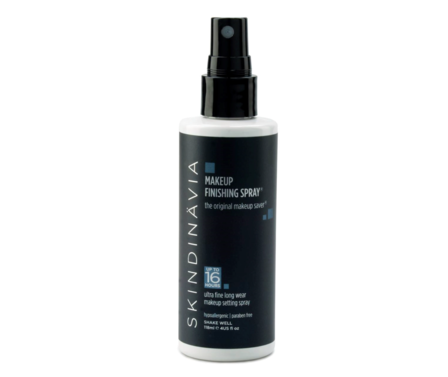 My Finishing Spray from Skindinavia – helps stop that pretty summer makeup from sliding off! 6) What is summer going to smell like this year? Well for me it’s going to smell like Rihanna’s Reb’l Fleur because my Mum and Dad got me that for Christmas. And may I say, that for someone who ran out of perfume four months ago, having it back in my beauty kit is awesome! 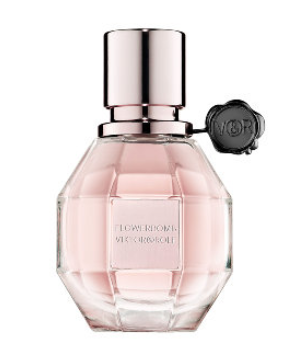 And if I’m very lucky, the perfume gods may smile on me and I may be blessed with some Viktor & Rolfe Flower Bomb as well! 7) What’s your favourite summer makeup tip? Spray your Beauty Blender or foundation sponge with Skindinavia Primer spray before foundation to make your makeup last all day long … and night! 8) What are you greatest summer indulgences? ♥ Mini bottles of sparkling Lindauer Sauvignon Blanc ♥ Lime Crime Velvetine in Pansy (whoa … bright!) ♥ A beautiful mini-escape to the Stamford Plaza in Auckland for the Makeup Obsessives meet-up (thank you Wotif!) 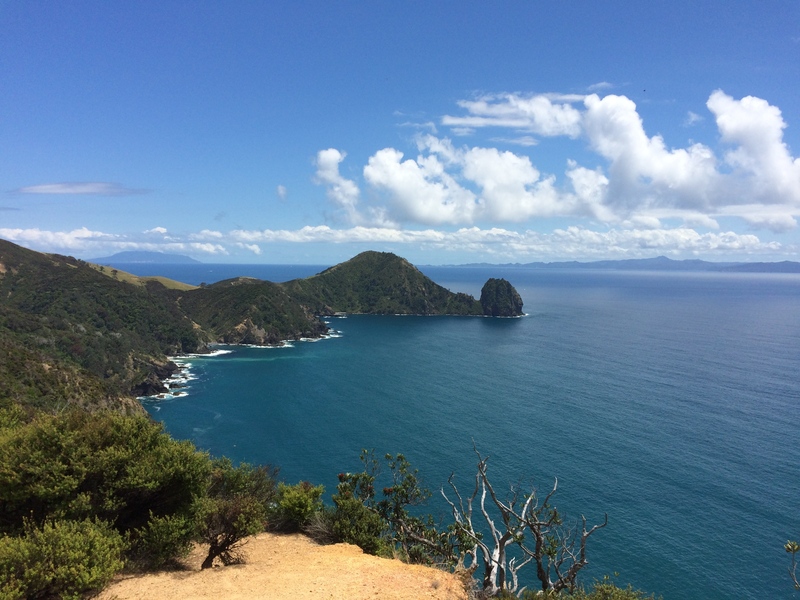 ♥ Sipping champagne out of a camping cup on a balmy summer’s evening at Stony Bay ♥ Sequinned or bejewelled jandals ♥ Summer frocks ♥ A deliciously long summer holiday. 9) Lush summer – your top pick? 10) Name one (or more) random summer essential. 〉Kirsty from Makeup Obsessives – she’s awesome and I love her writing style. 〉Melanie from The Sweet Painted Lady – I love local blogs and Mel is a Glamilton-based hair and makeup artist, specialising in vintage styles. 〉Charlotte from Miss Charlotte Cake – an Auckland-based blogger/pinup/baker with raven hair and a vintage vibe. 〉And last, but not least, Shayna from Miss Rouge’s Blog – Shayna is a gorgeous, natural redhead with style to burn! Please ladies, if I’ve tagged you, only do this if you want to! Of course if you haven’t been tagged and you’d like to do it, please join in – all you do is link back to the person who tagged you. Thanks for reading my tag! Posted on January 21, 2015 October 5, 2018 by MumptyStylePosted in Makeup/Skincare, Mumpty StoriesTagged Beauty Blender, Dove Summer Glow, Hourglass Ambient Lighting palette, lime crime, LUSH, Makeup Obsessives, Miss Charlotte Cake, Miss Rouge's Blog, Nivea Soft Rose, Rihanna Reb'l Fleur, Skindinavia, Stony Bay, Suedeberry, The Sweet Painted Lady, The World of COS, velvetine, Viktor & Rolfe Flowerbomb.